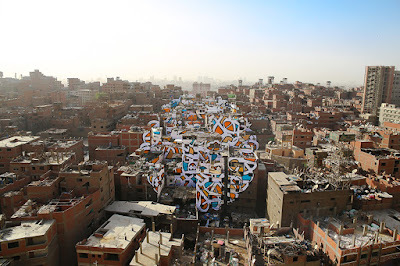 An optic installation artwork in Cairo, Egypt. 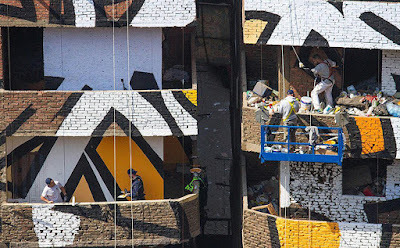 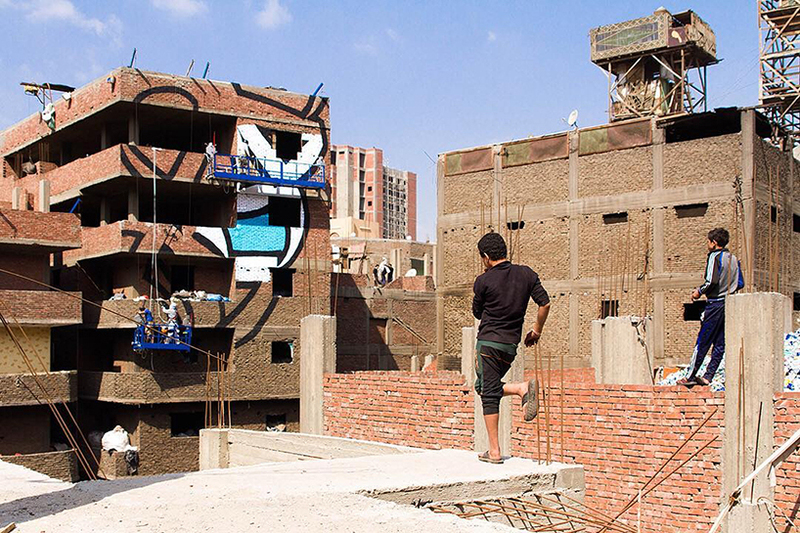 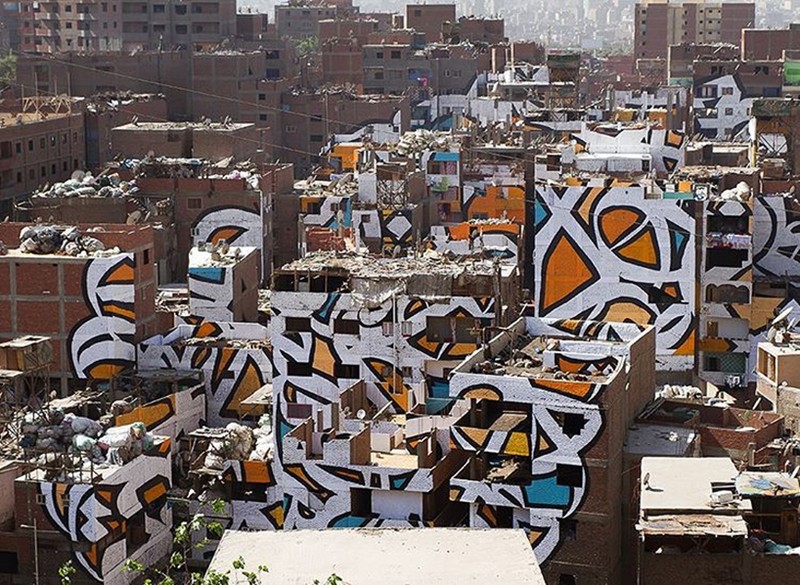 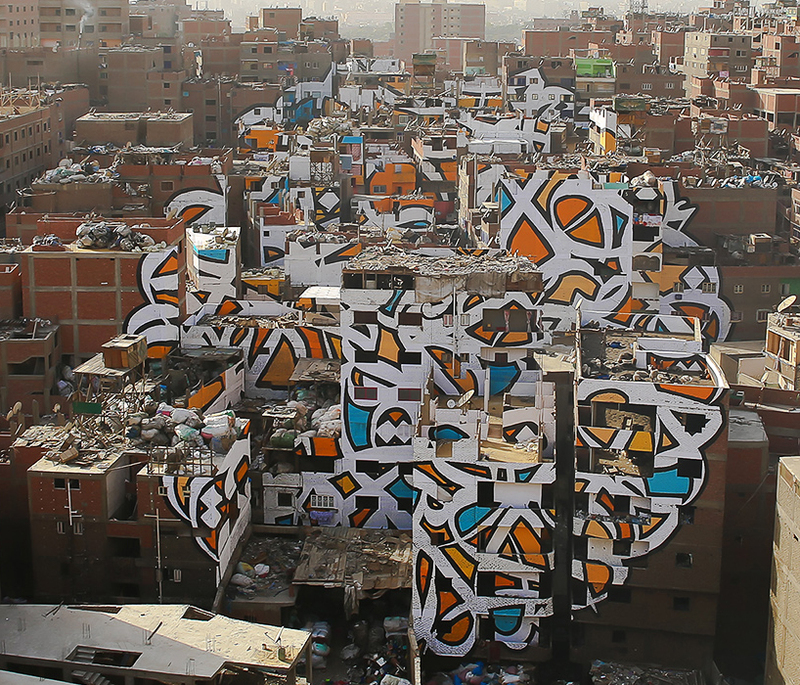 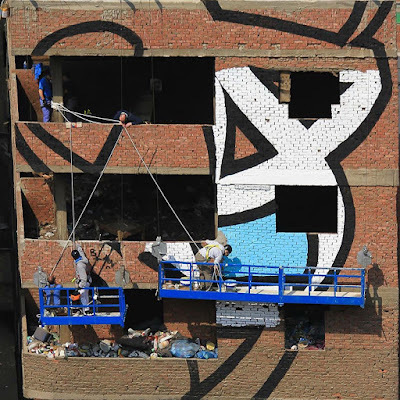 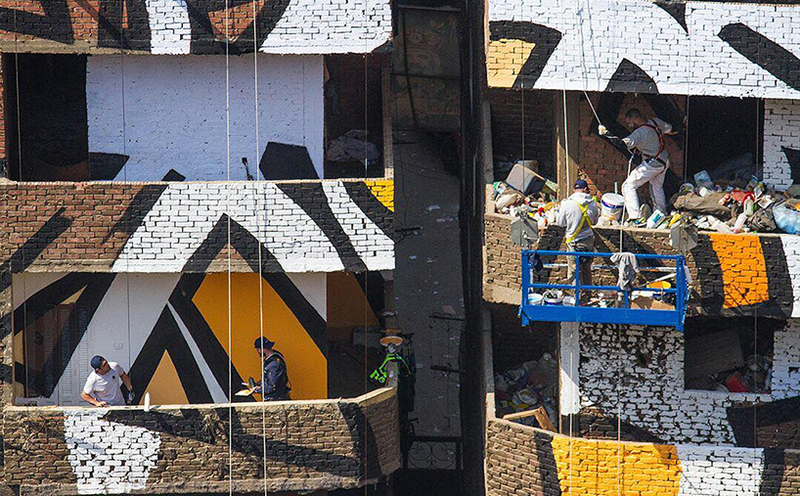 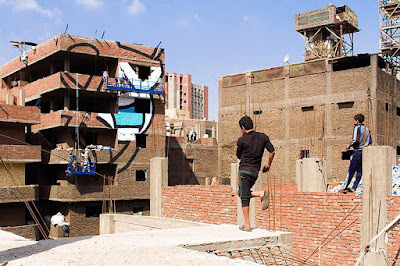 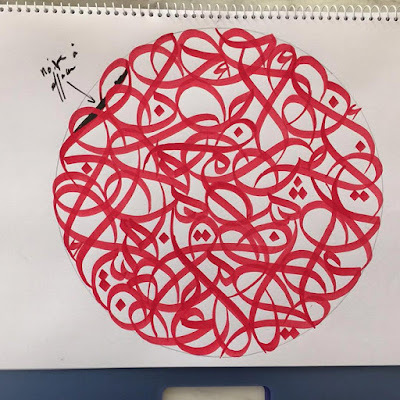 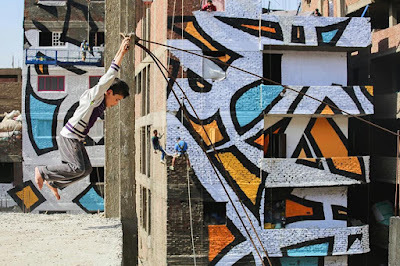 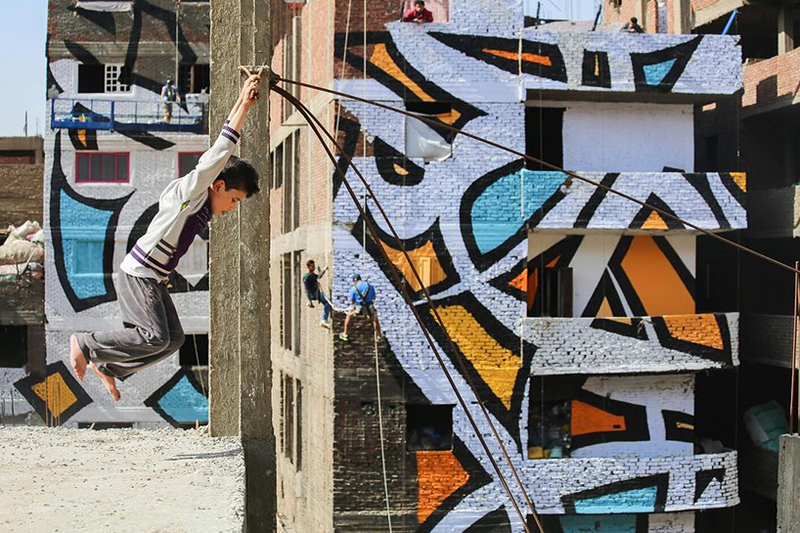 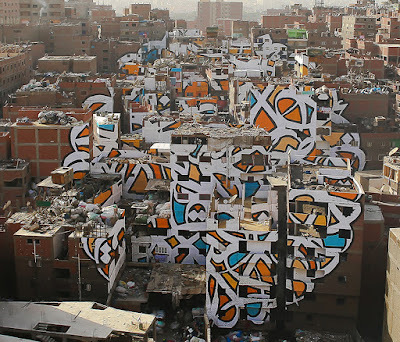 In an effort to challenge preconceived notions about cultures and communities, ‘calligraffiti’ artist eL Seed has realized ‘perception’ in the neighborhood of Manshiyat Nasr in Cairo. The installation has been set in the coptic community of Zaraeeb — a place known for collecting trash in the city, and for developing an efficient and profitable recycling system for it. 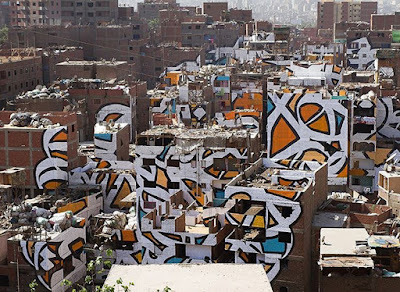 Despite its ingenuity and essentiality, the town and its inhabitants are commonly perceived as dirty, and are often marginalized and belittled by outside areas.